Planning to buy that Space Age Baby Boomer or curious kid in your life WHTTWOT for Christmas? Want it signed? 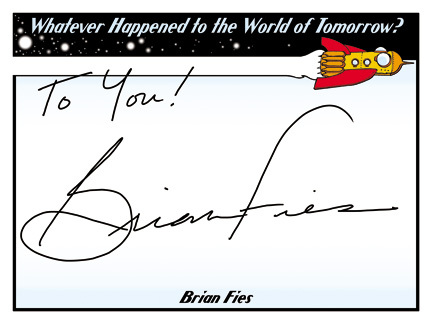 Better than going to the time and expense of mailing a book back and forth, just e-mail me (brianfies[at]comcast.net) your postal address and I'll mail you a bookplate--specially designed by me--inscribed however you want. Free! Then you can stick it in the book and smugly bask in their gratitude.